“I thought if it was contact it’d be these asthmatic nerds running around and it wasn’t,” Ashley Cooper, one of the authors of the study told NPR. “‘I’ve gotten egregiously tackled many times, where they tackle me too hard for no reason,’” she said. 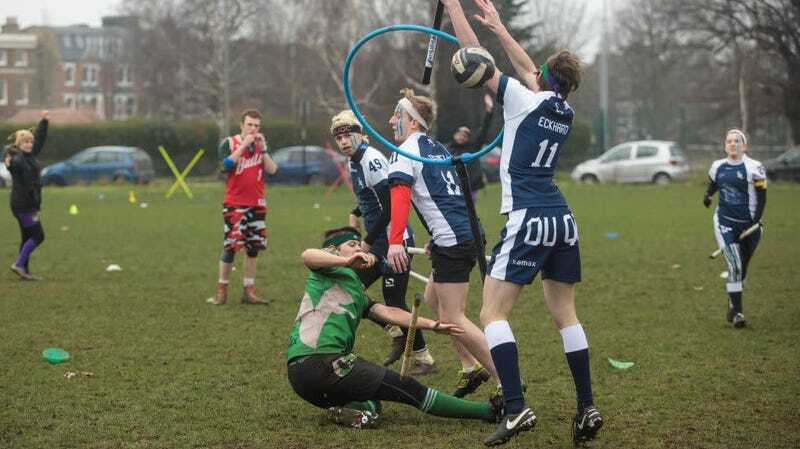 The sport has a governing body, U.S. Quidditch, that implements official rules and requires medical personnel at every match. A rep for USQ declined to say what updates were being considered to prevent injury, and many teams remain unaffiliated with USQ, so those teams are possibly even more likely to be engaging in full-contact murderball.